Yes! 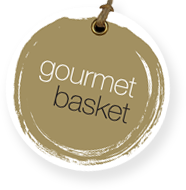 All of our hampers can be customised online. When you view a product you will see the drop-down menus highlighted below that allow you to add items to enhance your hamper. You can add one item from each category. You cannot remove items from the gifts online. If you wish to remove gifts from an existing hamper, add items that do not feature in the add ons list, or add multiple items from one add on category please contact our Customer Service Team for assistance.